After a serious motorbike accident in 2015, being in a coma for several weeks and after many many months of physical therapy, I was referred to Justin Jeffery’s for further therapy to heal my broken body. Justin is a biokineticist specialising in spinal cord and neurological rehabilitation, helping the injured reach their physical goals, helping them realise their full potential and regaining as much self-sufficiency as possible. 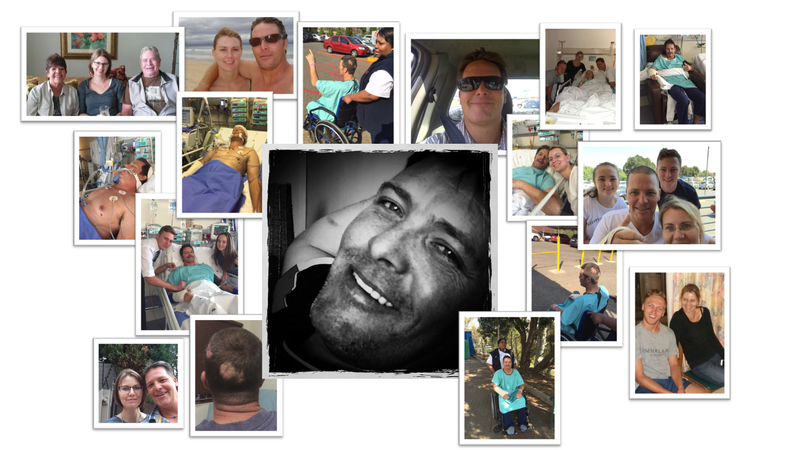 His motto is “The only disability in life is a bad attitude.” In 2016, I asked Justin to help get my body strong so that I could walk to Cape Town to raise funds for my rehabilitation as I cannot work (or walk properly at that stage) and I wanted to start helping others who have fallen to TBI (Traumatic Brain Injury) and are struggling to get up. 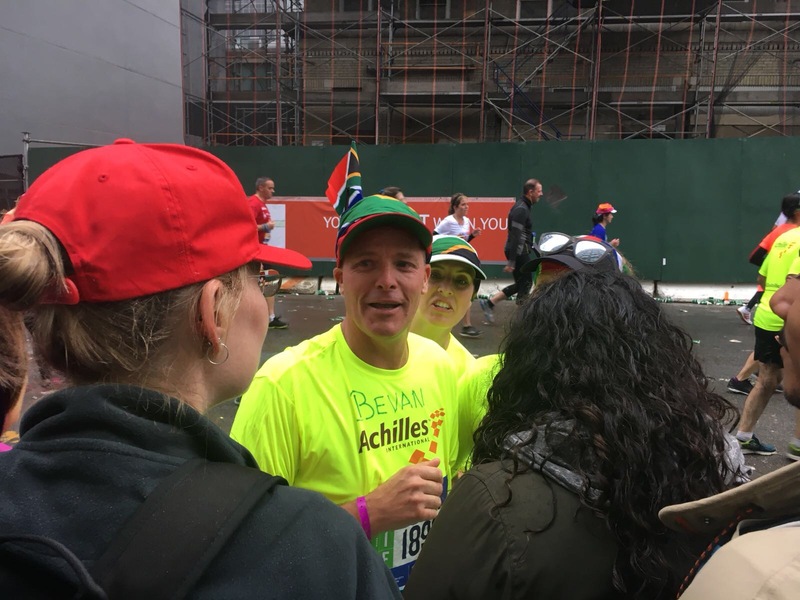 Justin had a greater goal in mind, so through his affiliation with Achilles South Africa running club, their mission is to enable people with all types of disabilities to participate in mainstream running events. Their main objective: bring hope, inspiration and better the lives of people with disabilities, physical and psychological. Justin organised that I be invited to participate in the New York City Marathon in November 2017 through Achilles. Wow, what an honour!! I trained and completed this marathon. It gave me a platform to raise awareness for this injury I now live with: TBI, not only locally but abroad too. Not everyone knows and most importantly not everyone recognizes or understands what it is to live with TBI or what it takes to care for a loved one with TBI. It’s not easy but as I say, when it gets too hard, it’s never hard enough. Since completing the 2017 NTC marathon, I have completed a half marathon, rode tandem with TNT in the 94.7 cycle challenge and now have been accepted to participate in the 2019 NYC marathon with a fellow TBI survivor. The request when doing the 2017 NYC marathon was to pay it forward and I have since found a man, a man that inspires and affects all who meet him. He is an inspiration to me and I am honoured to be training with and running with him in this 2019 challenge. My brain injury drives me now more than ever, I will be an inspiration and motivate others who carry this invisible injury and show them that If I can get up and be strong they can too. If I can help one person to get up and be strong then I have made a difference to 1 injured person and their family. I will help whoever needs and wants my help, I will not stop helping others. What I can do now is limited but I can do this, I am a voice that can be heard and so I will help many to live a great life, a different life, a new life but all the same still a great life. In order to realise this goal, I require some financial assistance. I want to raise funds to pay for my trip to NYC to run with my wife, my guide and to pay for my rehabilitation sessions to get me ready for this great journey. I am reaching out to you, please help me. Donate if you can, or share my cause, share my story, help me realise this goal and help me make a difference! Visit my back a buddy page to make a difference in so many lives.